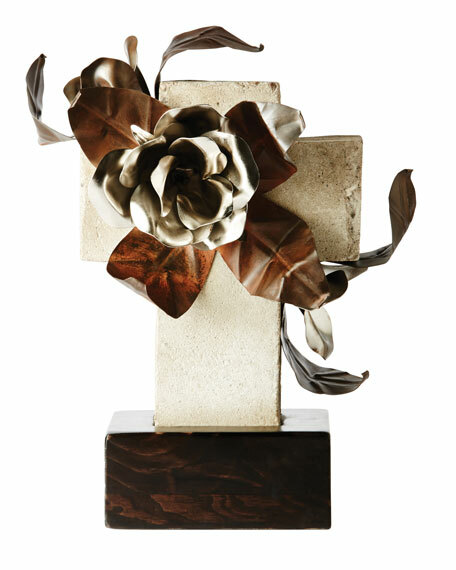 Accented with blooming nickel roses and iron leaves. 10"W x 6.75"D x 12.5"T.
For in-store inquiries, use sku #1896806. 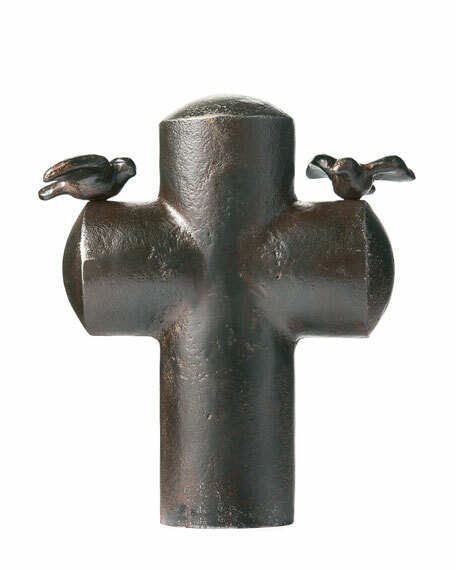 Handcrafted iron cross with wax-cast birds. 7"W x 3"D x 8"T. Imported. 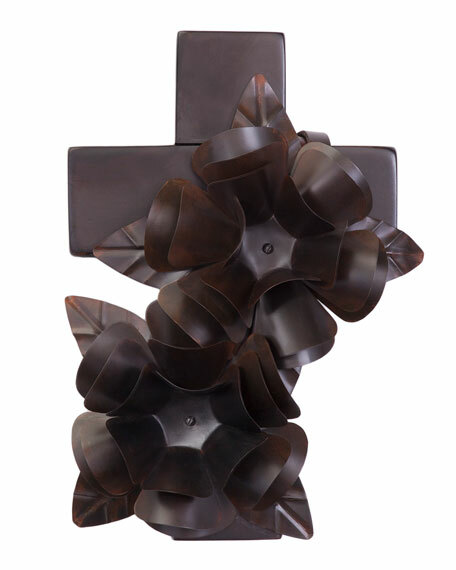 Small wood cross with bouquets of iron roses. 12"W x 7"D x 17"T. Imported.